I had hoped for a small interview with Dame Julie Andrews Edwards. One in which I could ask her what is her favorite movie that she is in? (I am hard pressed to answer that one because I love them all.) If there is a particular message she wants to share with kids and their parents through her books? How cool is it to be working with her daughter on this book series? If she has a movie project on which she is working? What is her favorite kind of tea? No, seriously, I really don’t know that I would ask much more than that, because the truth is, it has been asked. And I know how to get around on Google and can probably find the answers to any question I could come up with. So really, I just wanted a chance to talk to her. Because it was her movies that hold special childhood memories of getting to stay up really late to watch with my sister and my mother. “The Sound of Music” that inspired hours of pretending that I was Liesl in the backyard, singing “You Are 16” while circling the fishpond. And listening to my dad’s stories of swimming with the real Von Trapp kids who did make it off of those musical hills and into the United States where they settled in New Hampshire and swam in a swimming hole that my dad also liked. 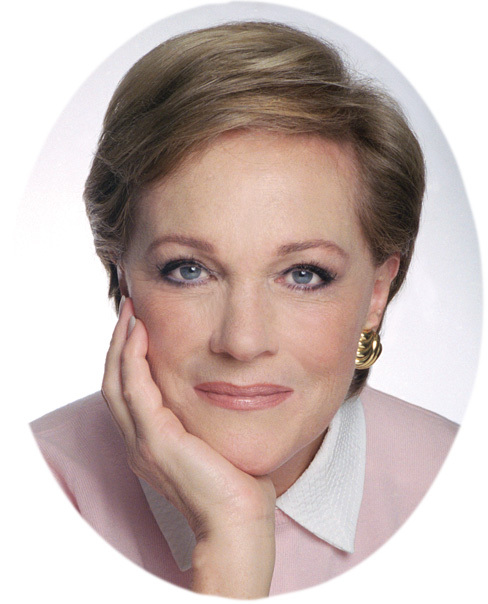 My Julie Andrews memories also come from when I was 21 living in London and working as a nanny. Could I have had movie that I loved more than “Mary Poppins”? My only beef with film was that she set the bar so incredibly high (Because to me, she really was Mary Poppins). But Sara, the two-year old in my care, and I would watch and sing. And cuddle. One day we were walking home from the market and it was cold, dark and rainy. In London, the wind whips down certain streets. We had just turned a corner and it caught Sara’s umbrella and lifted her a few inches off the sidewalk before she landed on her bum. I was sure she was going to cry and I wasn’t sure how I was going to pick her up as I was carrying massive package of diapers and other bags of whatnot. I looked at her sitting a little stunned on the ground, she looked up and smiled excitedly. “I blew away like all the bad nannies!” Grateful that I had not blown away too for she would certainly have looked at me with a new regard (bad nanny), we walked home, spit spot. It was a surprise that my kids have also had the chance to love Julie Andrews. Of course they were going to watch my favorites with me, but she won them over with their own favorites as Queen Clarisse Renaldi of Genovia in “The Princess Diaries” movies. Different from my own childhood, technology allowed my kids watch those movies over and over and over again. When I was running a couple of bookstores I became aware that Julie Andrews is also an accomplished author. Who has written children’s literary classics! We are not talking the usual stars cashing in on their name to write (or have a ghostwriter write) some fluff. “The Last of the Really Great Whangdoodles” is … really great. So “interview” might be too loose of a word. I wanted to hang with Dame Julie Andrews Edwards. Swap some stories. Chew the fat. And last night I got my chance. Yesterday at 5:30 at A Whale of A Tale, we joined the line of 200+ people, all with a golden ticket, standing through lots of wind, and rain that teased, threatening to come down in buckets but never making it past a couple of minutes of fast drops. 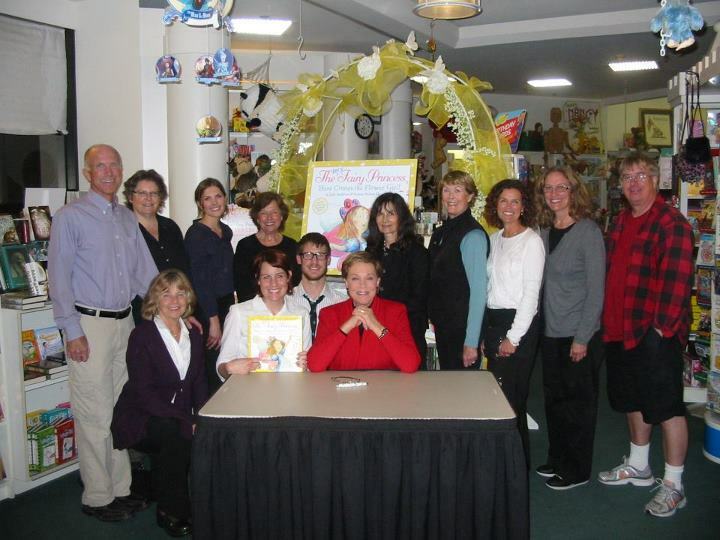 The doors were closed, opening just before 6:00 to let 4 – 5 people in at a time to have their new copy of “The Very Fairy Princess, Here Comes the Flower Girl” signed by the legendary Dame Julie Andrews Edwards. Ten minutes after the doors opened, the kids went and counted – 17-18 groups of people ahead of us. She was speaking to each person. Graciously. Just as you would expect. I asked the kids if they knew what they were going to say when they got up there. No, they said, but 17 – 18 groups ahead of us was going to leave them plenty of time to think about it. Mind you, these are kids that act and write and have goals of being accomplished artists of various means down the road. These are kids who have had the chance to meet some big name authors and conduct their own interviews with kids who have starred in movies. These are kids who went their whole 6th grade year with a student / friend who was in a highly acclaimed Oscar-winning movie sitting next to them in their class. I was confident they would have fun clever things to say. As would I. Moving towards the front of the line, we could see her through the window. And she was beautiful. She looked like she just stepped out of Genovia and I was mildly surprised she was not donning a tiara. She was engaging each person in a small conversation. We moved forward. Traded our tickets for books. And then it was our turn to be standing opposite of her at the signing table. She thanked the girls for coming. They stood there with the mouths open and nodded. She asked them their names. They pulled it together enough to answer. Correctly, I might add. It turns out she has a daughter who shares the same name as mine. Nothing. Nothing clever comes to mind to respond. I say something about Princess Mia also having the same name as if Julie Andrews doesn’t know this. I took what could have been a personal moment… and made it lame. I really don’t remember what else was said. But the truth of the matter is that the two 7th grade girls, my friend Liz, and I, were all way to star struck to say anything clever. Between the four of us, all we could muster was to stand there and smile and nod. And then it was over; the people behind us in line moved up. And my little chat with Dame Julie Andrews Edwards is tucked away in my forever memories because it was…awesome!! Posted in A Whale of A Tale, book signing, children's book, Dame Julie Andrews Edwards, Here Comes the Flower Girl, Julie Andrews and tagged A Whale of A Tale, Dame Julie Andrews Edwards, Here Comes the Flower Girl, Julie Andrews, The Very Fairy Princess. Bookmark the permalink. OC Toy Tales, second edition, posted over at OC Family this afternoon. Check it out for a sweet giveaway for high school kids preparing for standardized tests! Preview on my big activity (therefore review) this week. 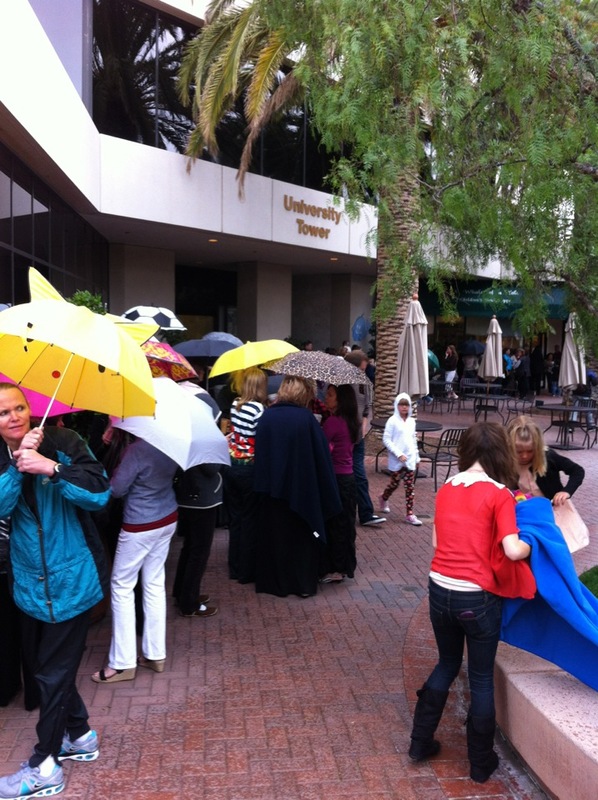 Headed over to A Whale of A Tale in Irvine on Wednesday, April 25th for a book signing by Dame Julie Andrews Edwards. 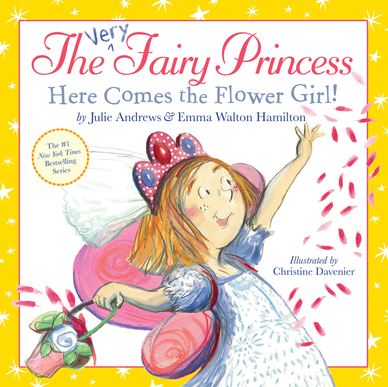 She will be signing her new book, “The Very Fairy Princess Here Comes the Flower Girl!” The event requires a pre-purchased ticket for the cost of the book. On the day of the event, you can exchange your ticket for a copy of the book and get in line. If the tickets are sold out, you can still call the store and ask to have a book signed for you. Call the store at (949) 854-8288 for details. Posted in A Whale of A Tale, book signing, CO Toy Tales, Dame Julie Andrews Edwards, High School Standardized Test, Julie Andrews, OC Family and tagged A Very Fairy Princess, A Whale of A Tale, Dame Julie Andrews, Julie Andrews, OC Family, OC Toy Tales. Bookmark the permalink. Christmas Gift to Myself – a Holiday Countdown of Some of my Favorite Independent Retailers and the Cool Stuff they Sell! A Whale of A Tale is a Whale of a store. 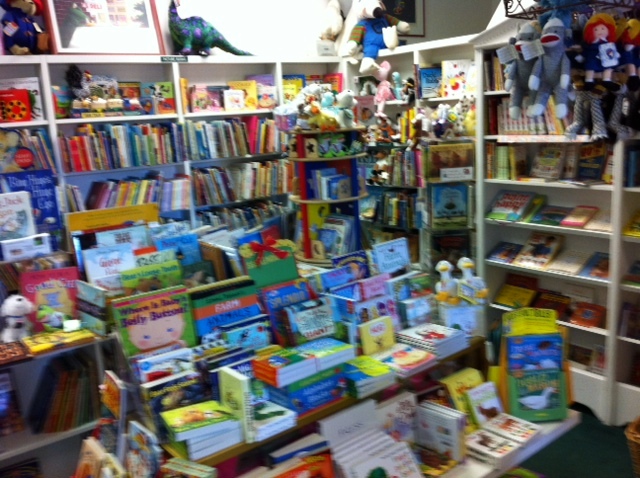 For those who don’t know, I spent 2 1/2 of some of my favorite years running a couple of independent children’s bookstores. It about broke my heart when they closed – not only because of what I had personally invested in them, but because they were a huge asset to the community. I know this because three years later I still have people tell me how much they miss them. And to that, I say, lucky for you A Whale of a Tale is still here! This is what you can’t get on Amazon – “Hi, what can I get for my 16-year-old who recently loved …?” And two minutes later I have a stack of books in my arms from which to choose – she shares with me some of the author’s previous works, the genre, and some comparisons. And I leave with books I am excited to give and more excited to borrow. What else do I get? The satisfaction of knowing that I am supporting a business that gives back to local schools and charities in the area (A Whale of Tale’s participation in The Junior League of Orange County’s Christmas Company is always one of the highlights of the event – this year she provided not 1 but 2 teas with both author and illustrator of the beloved Fancy Nancy series, Jane O’Connor and Robin Preiss Glasser), and keeps Orange County on the map in the literary world. A Whale of a Tale also supports other small businesses by stocking items that are not sold in mass retailers. One of my favorites? 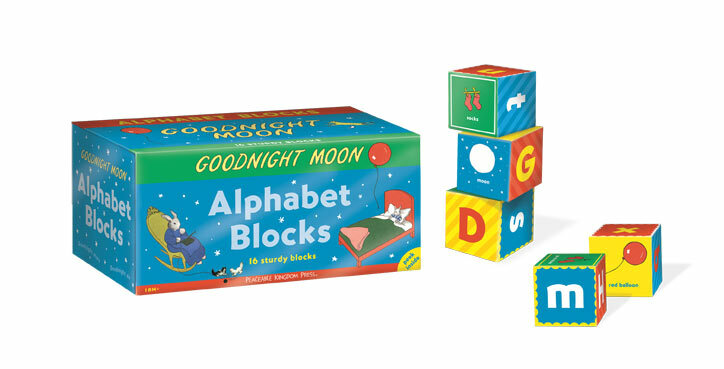 Packaged as a great gift in a magnetically closed box, these paper covered cardboard blocks are the perfect 1st block set for your child who loves to stack but isn’t ready for the hard wood yet. Of course each block features illustrations from this classic picture book. And because they are cardboard instead of wood, they won’t break the bank if you are shipping it to your lucky niece or nephew. Posted in A Whale of A Tale, American Cancer Society, elementary school graduation, Techno Gears Marble Mania, teen book, teen toy, The Company of Angels, The Learning Journey International, the mini social, The Waldorf School, ulubulu, Uncategorized, View Master, Waiting for Normal and tagged A Whale of A Tale, children's book, Christmas Company, Fancy Nancy, Goodnight Moon ABC Blocks, J.K. Rowling, Jane O'Connor, Junior League of Orange County, Marla Frazee, Mo Willems, mom blog, parent, Peaceable Kingdom, Rick Riordan, Robin Preiss Glasser. Bookmark the permalink. Kidstuff I LOVE – on Pinterest! Kidstuff I LOVE – on Tumblr!